Based on two memoirs, this drama deals in sensitive and subtle fashion with the plight of the father. Brad Pitt’s acting career may have had its wobbles recently but his record as a producer is exemplary. Beautiful Boy, made through Pitt’s production company Plan B, is a moving, insightful and very delicately observed drama about a dad whose son is a crystal meth addict. 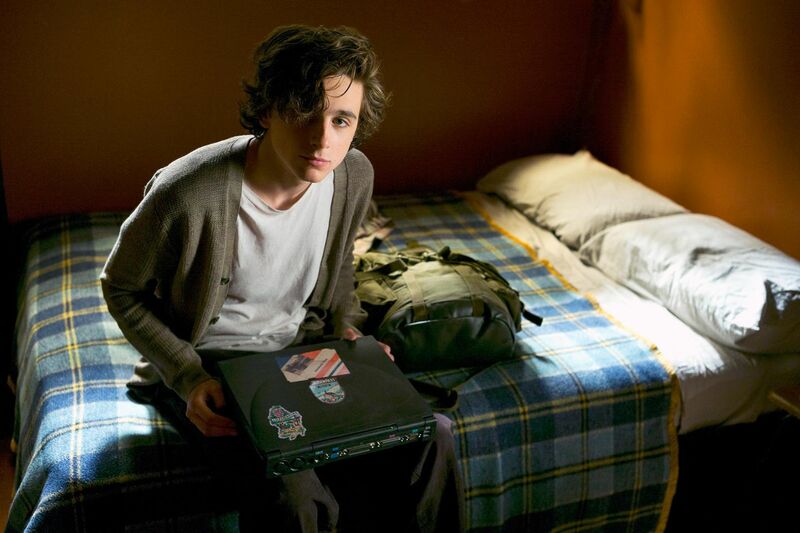 High-flying journalist David Sheff (Steve Carell) loves Nic (Timothée Chalamet) “more than everything” but can’t stop him destroying himself. Beautiful Boy is based on two memoirs, one written by the father and the other by the son. The title comes from John Lennon’s song about his son, Sean, from his last album, Double Fantasy. Carell gives his finest performance since Foxcatcher as the doting but perplexed and tormented father – and looks bound to be in the running for awards again. Transcending its own grim subject matter, the film deals in sensitive and subtle fashion with the plight of the father. It is never judgmental about the son either. Belgian director Felix van Groeningen is far more interested in probing away as deeply as he can into the psychology of his two tortured protagonists than in delivering the usual ups and downs found in more conventional family melodramas. The film has a deliberately open-ended quality. David Sheff simply can’t work out what has happened to Nic. “There are moments that I look at him, this kid that I raised, who I thought I knew inside and out, and I wonder who he is,” Sheff confesses his bewilderment at the start of the film. He is a model parent who will do anything for his son. Nic is popular, good looking and has been accepted by every college to which he has applied. The riddle, which the film acknowledges as impossible to solve, is how and why Nic set off on such a self-destructive path in the first place. Casting Chalamet as Nic was a very clever move. The young actor from Call Me by Your Name and Lady Bird has a natural charm and charisma. He still engages an audience’s curiosity and sympathy even when his behaviour is at its most selfish and erratic. Nic’s a bit of a rebel, a loner who reads Charles Bukowski, likes David Bowie and draws his own morbid cartoons. He’s also good with children, excellent company at the dinner table and very affectionate. If he steals from kids’ piggy banks and behaves with extreme selfishness, it’s himself he seems to hurt the most. He is in a cycle. The more he uses drugs, the more he does things he is ashamed of – and the more he uses so he doesn’t have to face the shame. It’s a relief that the screenplay (co-written by van Groeningen and Luke Davies) doesn’t reach for the usual cod psychological explanations for Nic’s addiction. David may be divorced but that isn’t the reason his son had started injecting. There is no record of abuse of trauma in Nic’s childhood. The flashbacks show him as a doe-eyed and adorable child, basking in his father’s affection. At first, he takes the drugs seemingly simply because he enjoys the euphoria they induce in him. As he puts it, they take “the edge off stupid everyday reality”. Sheff uses his investigative journalistic skills to try to make sense of his son’s condition. He studies the science of addiction and consults all the experts he can find. He thinks that kindness, patience and hard work can solve the problem. As played by Carell, he is rational in the extreme but still seems delusional. “Why, Nic, why?” he asks but there is no ready answer. He can’t live his son’s life for him. One aspect of Beautiful Boy that occasionally rankles is the cosy affluence of David Sheff’s world. His home in the woods looks like something out of a Sunday supplement. He is based in California but always had the time and money to drive or fly across the country whenever Nic needs bailing out. Van Groeningen’s focus is so fiercely on the father and son that relatively little attention is paid to Nic’s mother and step-mother, who are little more than ciphers. In his first English-language film, the Flemish director is working with his regular collaborators, cinematographer Ruben Impens and editor Nico Leunen. He may have Pitt as producer and major stars in his cast but Beautiful Boy takes the same unrelentingly intense approach to character as his earlier Belgian films like the Oscar-nominated The Broken Circle Breakdown and The Misfortunates (released in France with the wonderful title, La Merditude des choses). It also has a lyricism, raw emotion and a sense of mystery that you simply won’t find in any other movie about drug abuse recovery plans.